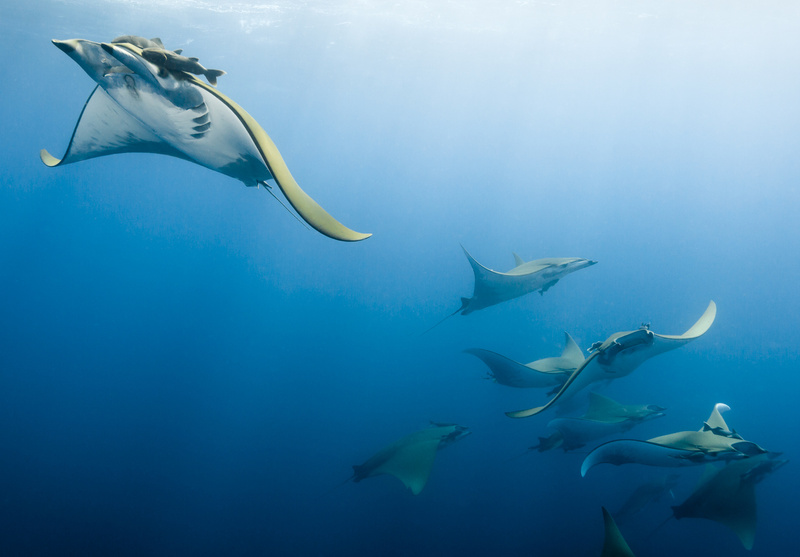 Mobula rays are a large species of ray that make very deep dives to forage. It is thought that they come up to the surface to warm up after these deep dives. For this particular dive I was hanging on a rope that disappeared into the deep below. After almost an hour these graceful creatures suddenly popped up and were swimming around us. Taken on Maria Island, Azores.